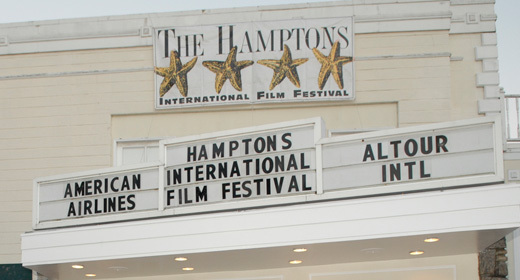 If I haven’t already persuaded you to visit The Hamptons this fall (see Art in the Hamptons and Summer’s Best Kept Secret), then hopefully the upcoming Hamptons International Film Festival, scheduled for October 13-17, will be enough to convince you. Tickets go on sale today. If you come out, here are some of my favorite restaurant ideas: Hamptons Restaurants and Casual Hamptons Restaurants. This entry was posted in Film, Travel and tagged East Hampton, Film, Film festival, Hamptons, Hamptons International Film Festival, Movies, Travel. Bookmark the permalink.